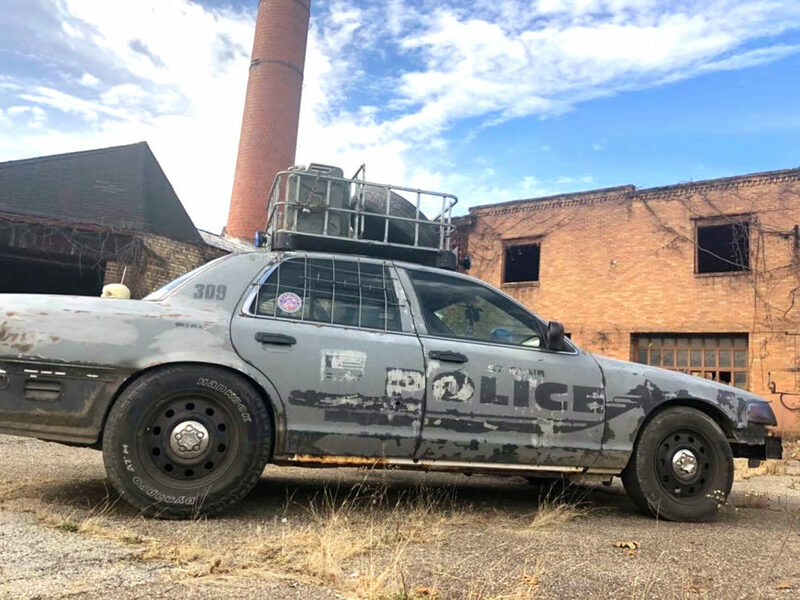 This vehicle was found outside the former Riverview Florist property in East Liverpool, where the driver was reportedly inside a building. He was charged for trespassing and mishandling a firearm in a motor vehicle. The car was towed from the scene. 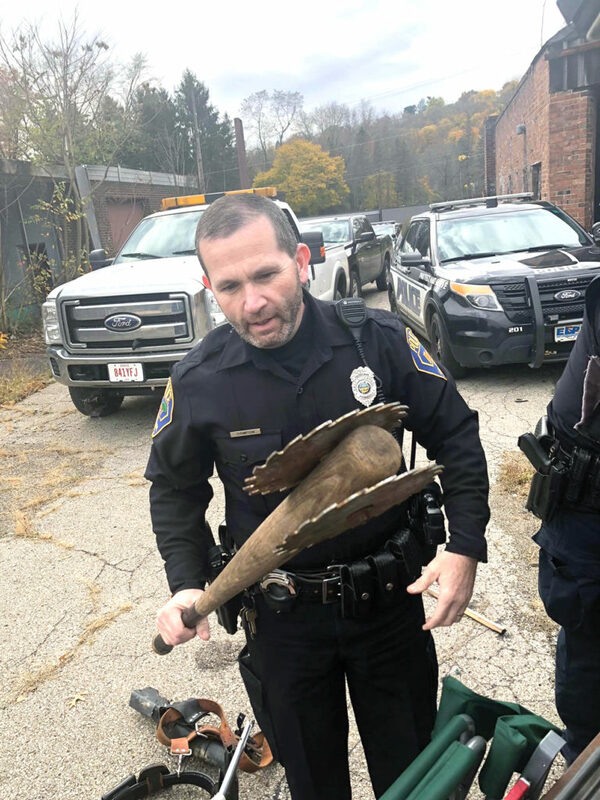 EAST LIVERPOOL — A Sprucevale Road man arrested Wednesday after being removed from inside a building at the former Riverview Florist property was found to have multiple potential weapons in his vehicle. Dillon A. Lockhart, 22, was charged by city police with criminal trespass and improper handling of a firearm in a motor vehicle. Officers were called to the Riverview property at 12:03 p.m. after a caller reported someone was possibly taking items from a building there. The property is owned by the city’s Community Improvement Corporation. Deputy Service Director Rick Rudibaugh arrived on the scene prior to officers and called in a license plate number to police, then began walking to the rear of the building. An officer arrived and walked toward the front of the building, and Safety-Service Director Brian Allen also arrived on the scene. Rudibaugh radioed that someone was at the rear of the building, where Lockhart was found and escorted out of the building, reportedly wearing a large knife on his side. Officers reported finding inside the vehicle’s center console a loaded automatic .45-caliber pistol with a round in the chamber, with ammunition, a bow, knives and baseball bats retrofitted with an unusual array of items such as saw blades and bottle caps also found in the car’s passenger compartment and its trunk. Lockhart appeared following his arrest in East Liverpool Municipal Court where a pretrial was scheduled for today, with $10,000 cash/surety bond set.